1. We are practicing doing hard things WITHOUT COMPLAINING. Some of the tots have miles to go before they catch onto the NO Complaining part. But they also are learning that blessings come to those who press forward… persevere… work together… see the beauty around them, etc. 2. Enjoy God’s creations. To count our blessings for all the glorious sights… that help us catch a glimpse of all that we are meant for in the eternities. 3. Peace in nature. 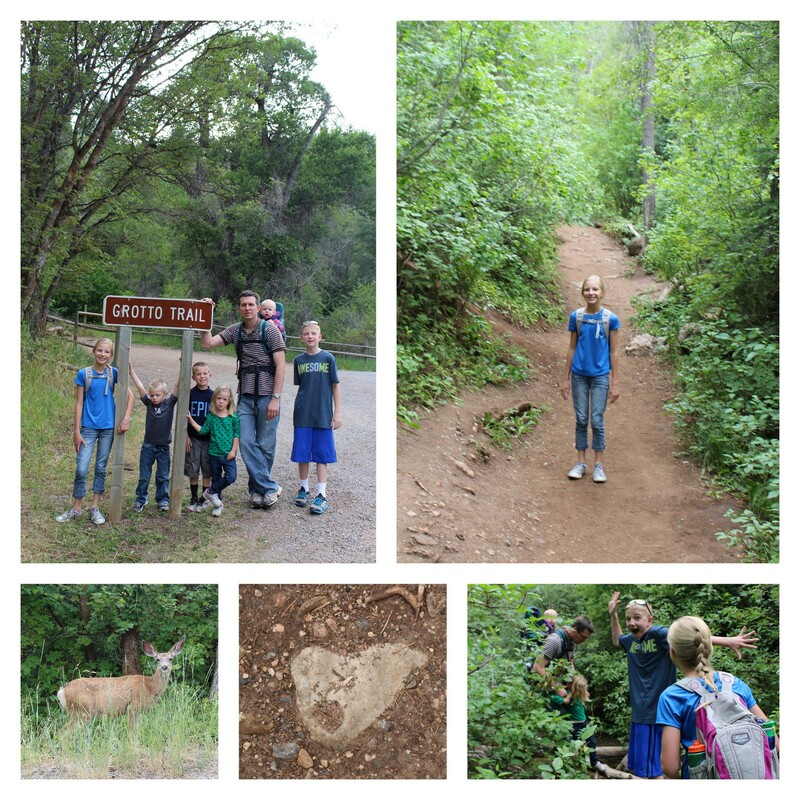 Have you ever passed our family on the trail? You may not find it very peaceful. We’re a pretty loud energetic group (mostly all those bouncing boys). BUT … there are moments of peace when we can be still and enjoy nature. 4. Heart Rocks, of course! 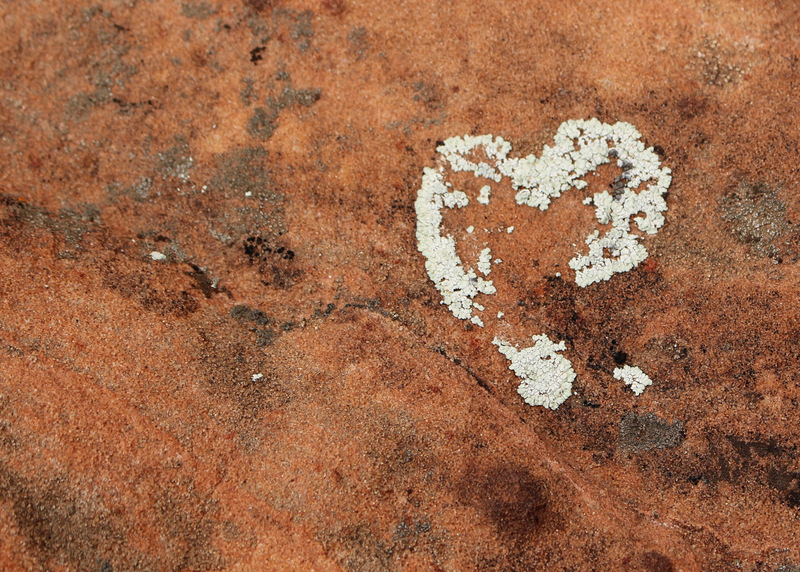 When the going gets tough, I find myself pressing forward (usually holding a little hand or two), taking a step at a time, and searching all the dear Rocky Mountain rocks for ones shaped like hearts. These hearts remind me of God’s Love for me. He loves us so much that he lets us struggle and stretch and find our way to Him. He loves us so much that he sent us to families to love and care for each other. He loves us so much that he gave us prophets, truth, scriptures, the Holy Ghost, prayer. 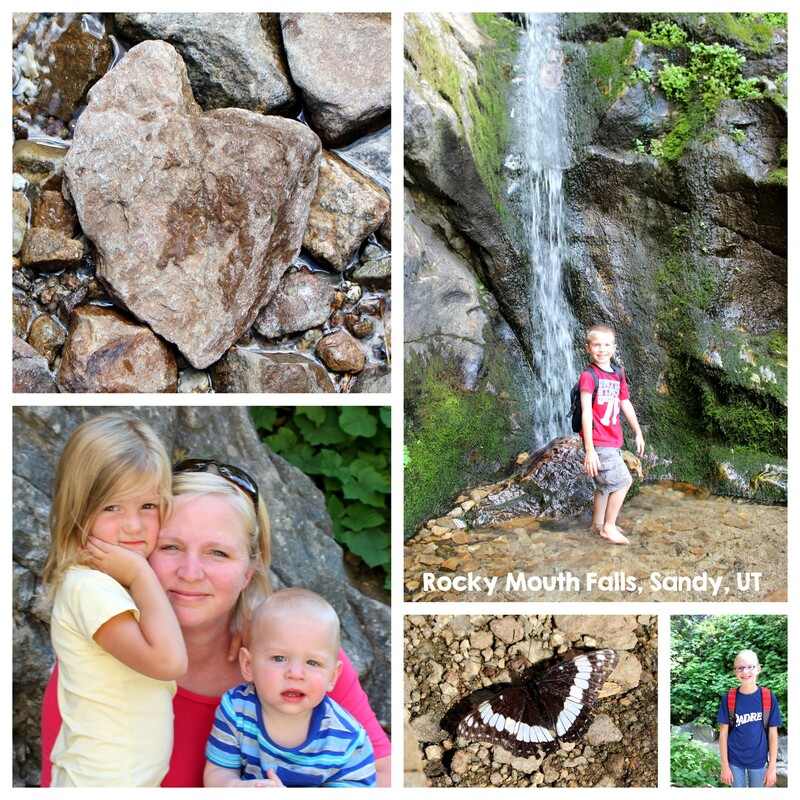 We talk about these things as we search for heart rocks wherever we go. 5. Truman loves to hike. He is at greater peace near water and rocks and dirt and sticks. 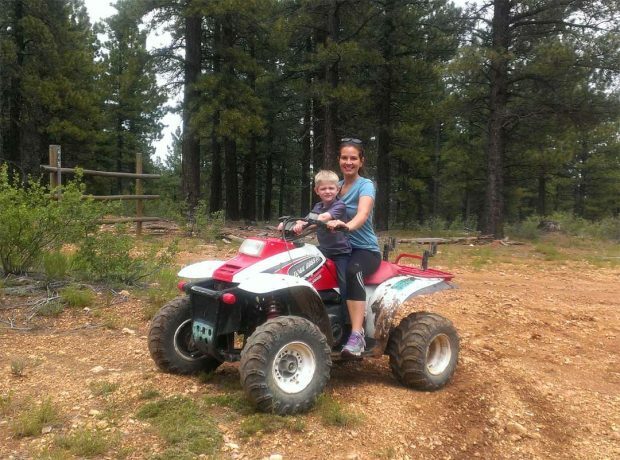 And if Truman enjoys something (other than electronics), we will make that effort to be in the mountains.. because all the angels in heaven (and all the neighbors within ear-shot) know that we can use as much joy and peace from that little 5-year-old soul as we can get. 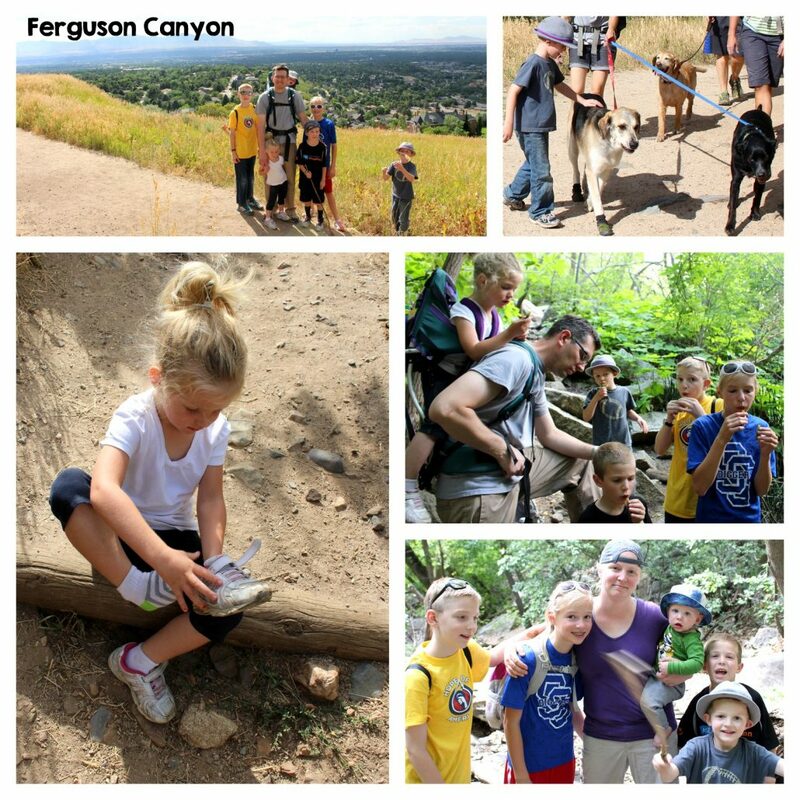 Of course, mom loves hiking too… and so I plan and research and force persuade everyone to come with me. 6. 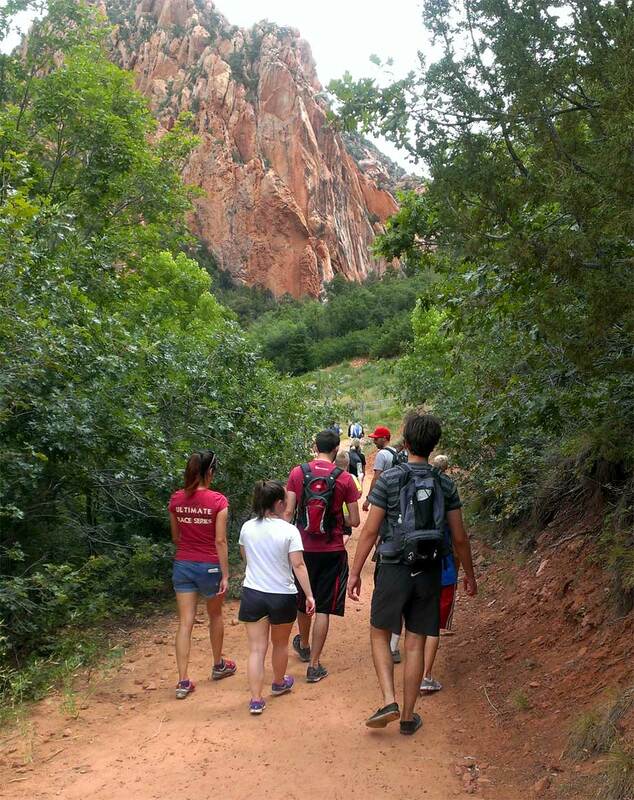 Exercise & Adventure. 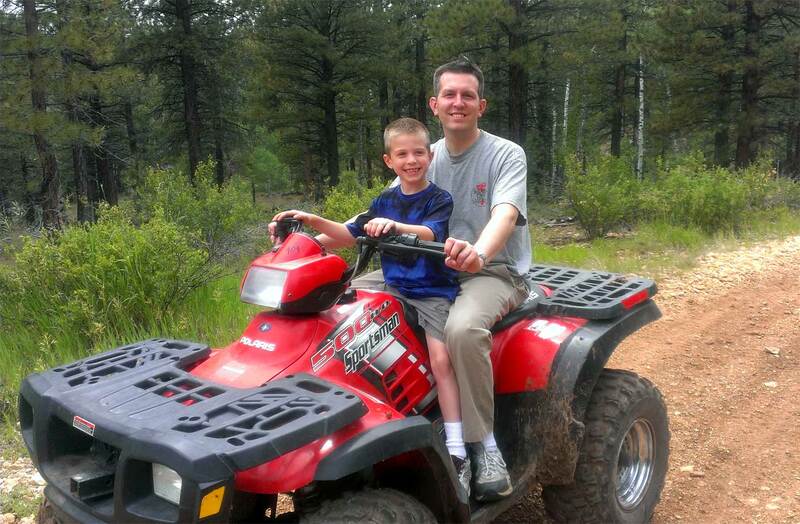 This is a great way to be active as a family… all while seeing new places nearby. Can’t live in Utah without enjoying a bit of the magnificent mountains. 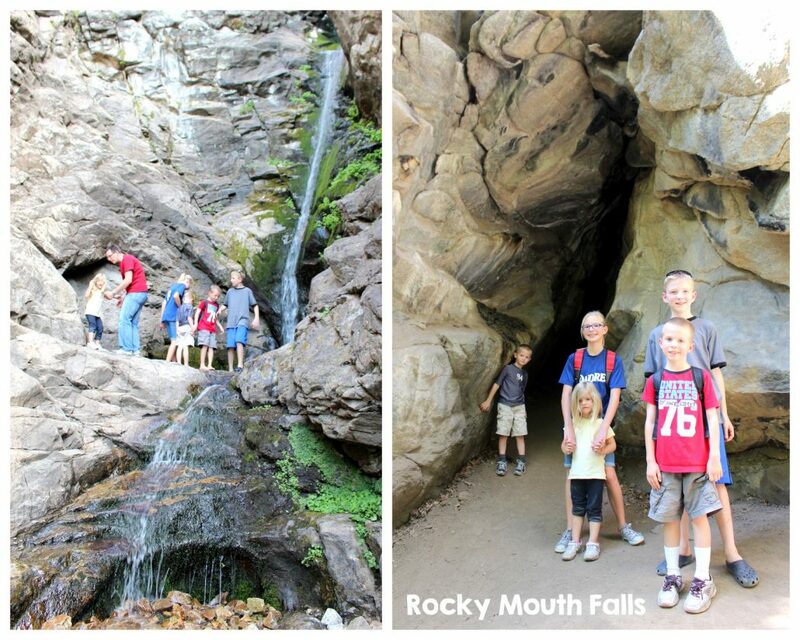 This is probably one of my favorite hikes to do with littles. 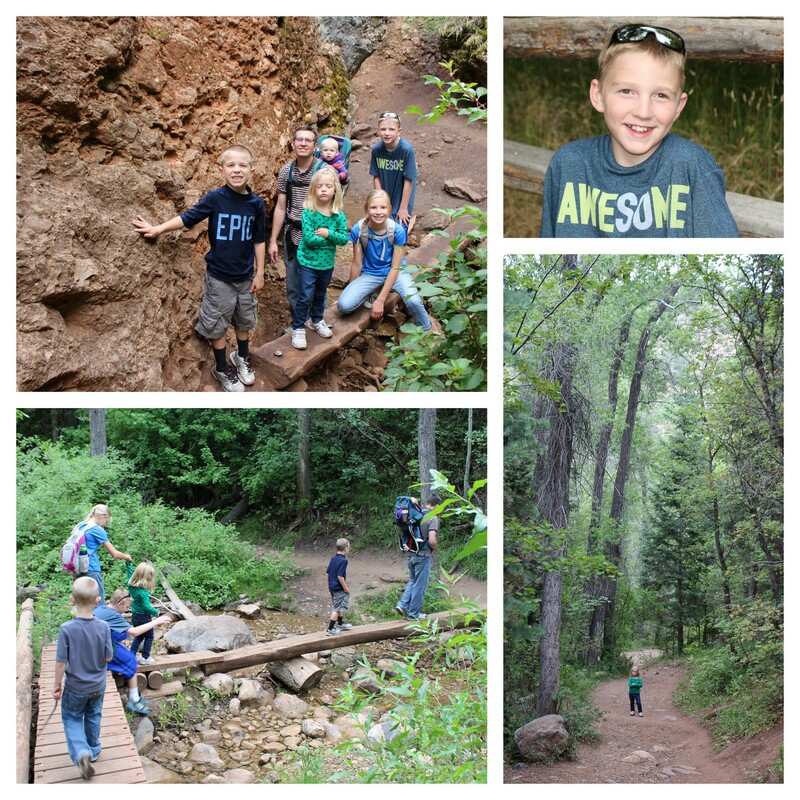 It was short, shady, very green, had water, and plenty of places for boys to climb. 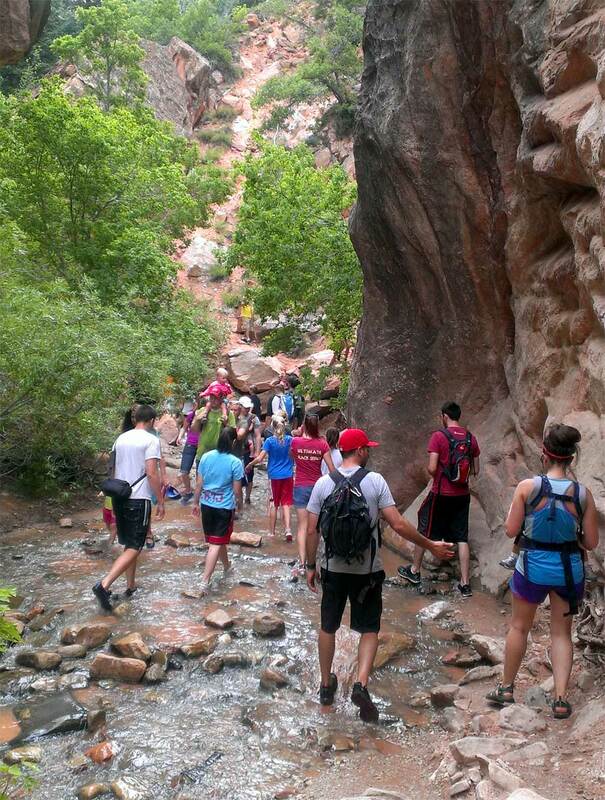 Plus, it smelled great and had slightly damp ground so it wasn’t dusty like most other Utah hikes! 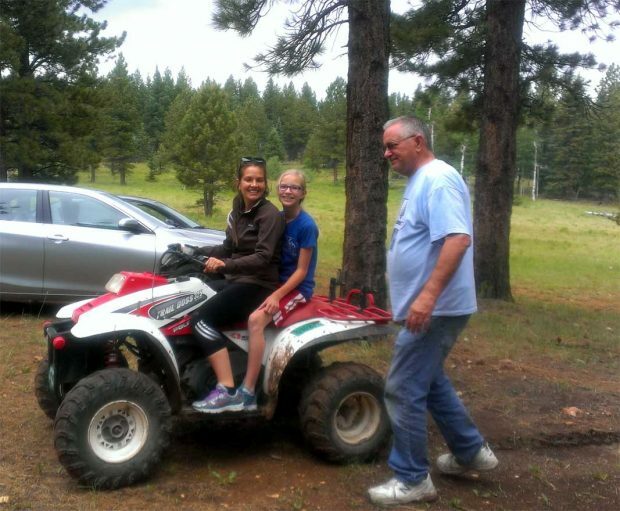 These are the best kind of family outings. p.s. Scotty loves chocolate milk… and his new carseat that forward faces. He loves to see! Trail: Flat, wide and easy. 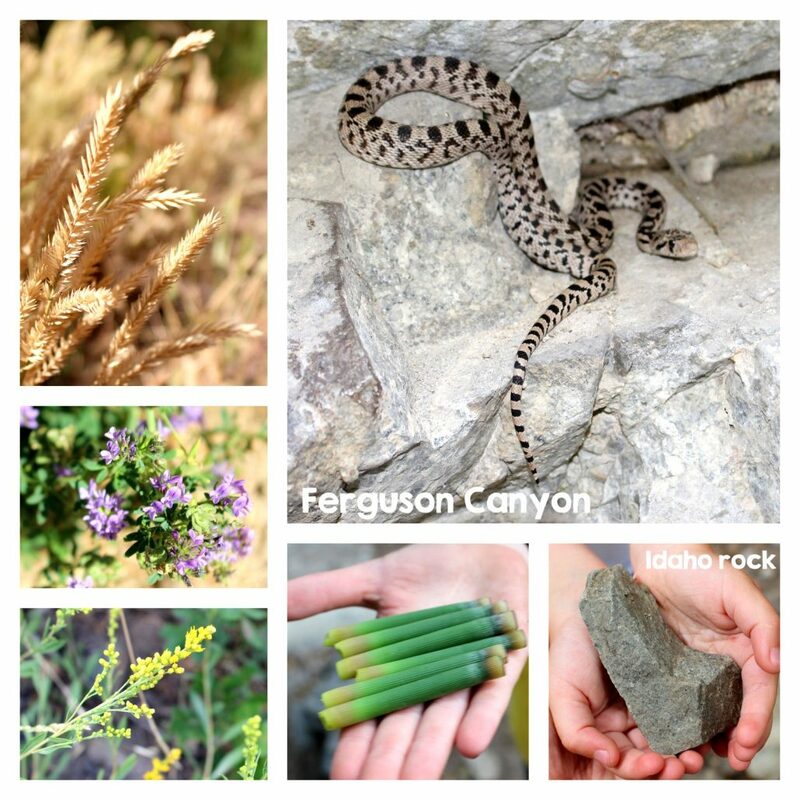 Golden weeds, wee-little-snake, wildflowers, idaho-shaped rock, water reed plants that whistle when you blow. Tru loved that he discovered ‘the view’. Scotty enjoyed the hiking backpack. 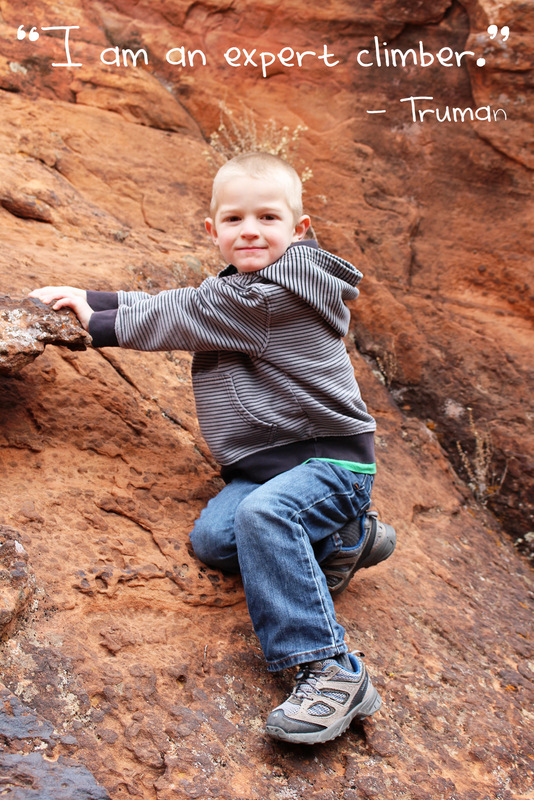 Liza always gets rocks in her shoes (and always has to go potty out in nature!). Abe was a helper. 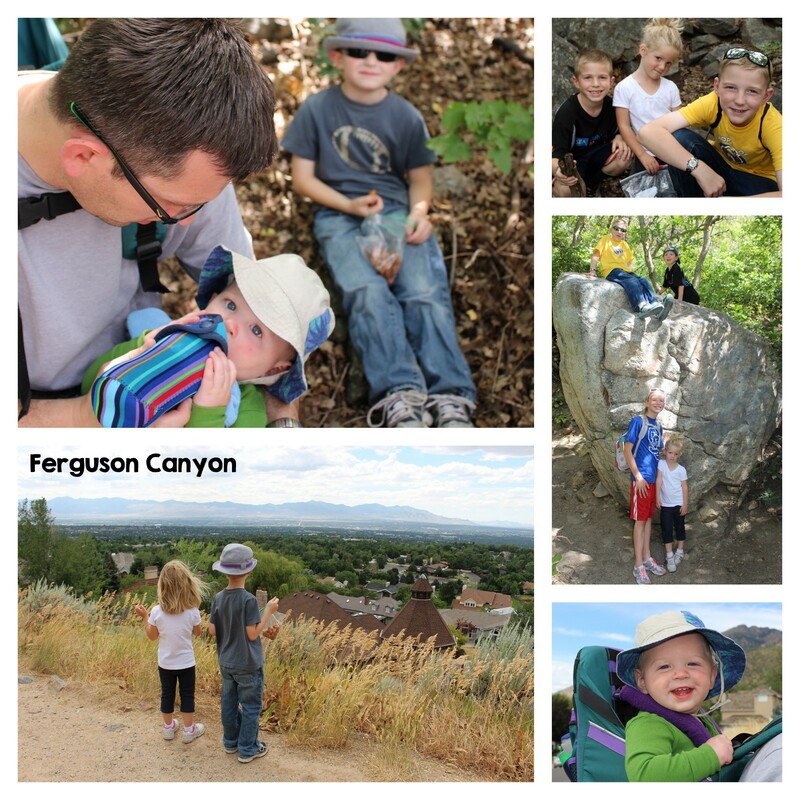 “Ferguson canyon is small canyon between Big and Little Cottonwood Canyons. 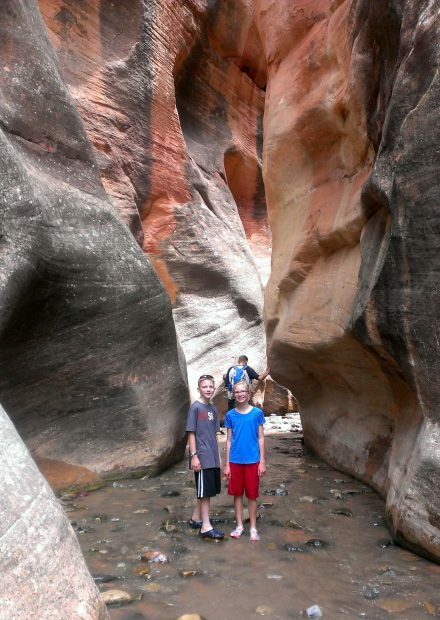 This canyon has gained popularity over the last few year and is a popular destination for rock climbers. This is one hike that the canyon itself is the destination. 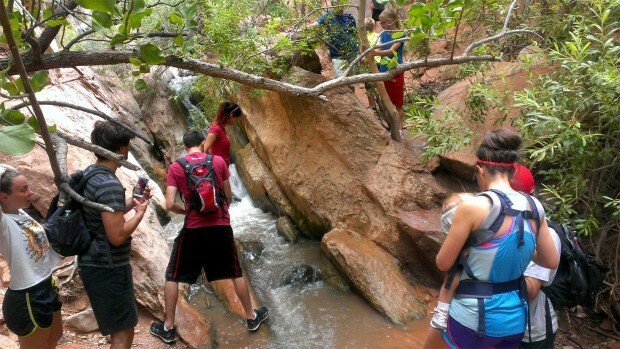 The hike can be whatever you want to be. 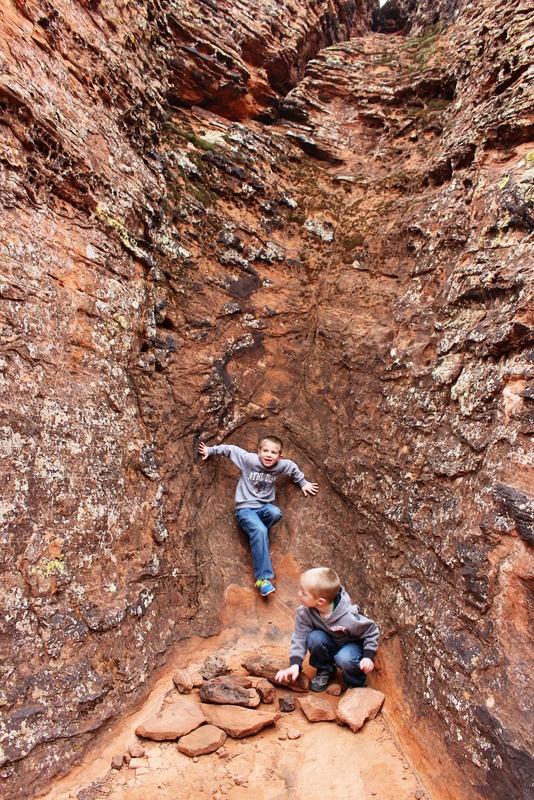 You can follow the trail to the end and get to a summit or just make it to the shaded canyon wall and stream. Dogs are Allowed… much to max’s dismay… and much to Truman’s delight. 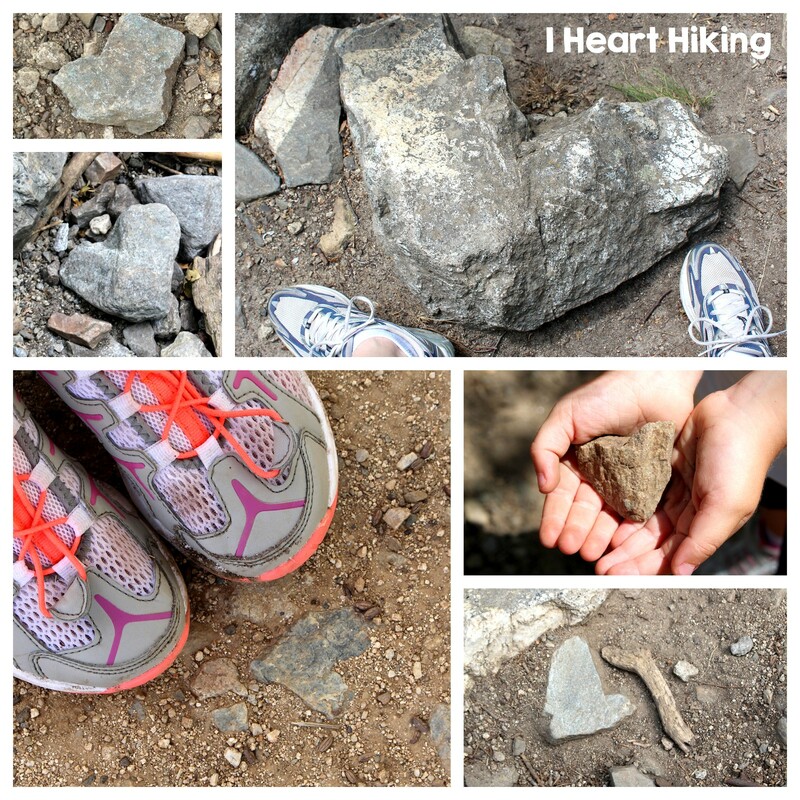 This trail had an extra large amount of heart rocks… must be the type of rocks that breaks like that. Or perhaps I saw them more than usual. Or perhaps God placed them in my path to remind me of the tender mercies He sends daily. 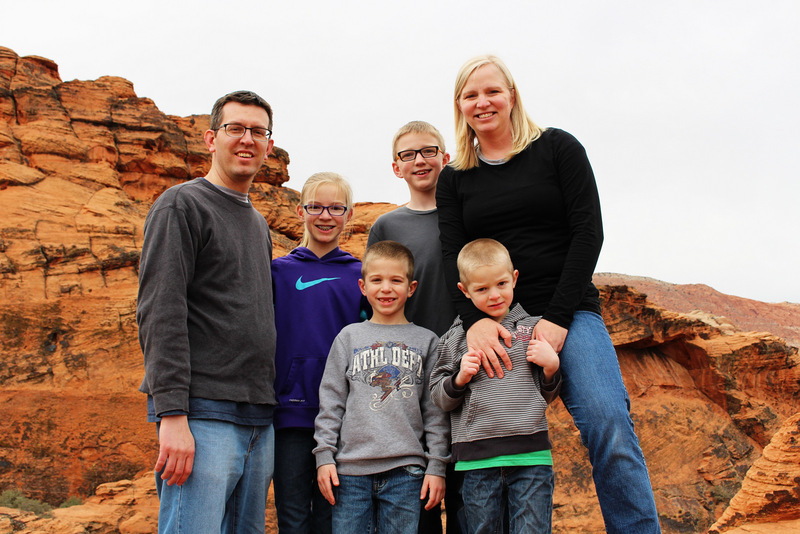 On Friday morning, July 3rd, we loaded up Beastie, our 12-passenger van, with camping equipment, and Hannah, Abraham, Maxwell, Truman, and I headed toward Cedar City, Utah for a camp out with the Thompson clan. We camped on some Bureau of Land Management (BLM) land with no facilities (no bathrooms, no latrines, no water, no nothing, except land, trees, mud, and four-wheeler trails). 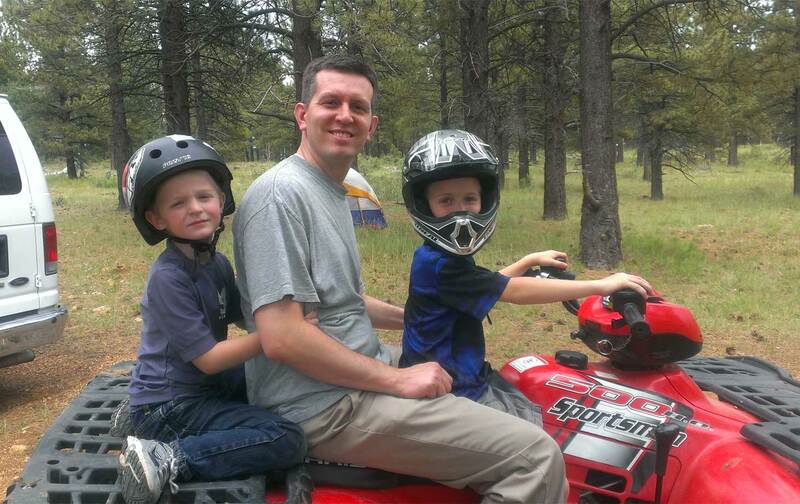 The boys simply used the woods, but lucky for Hannah, Uncle Bucky brought his camper and a port-a-potty. 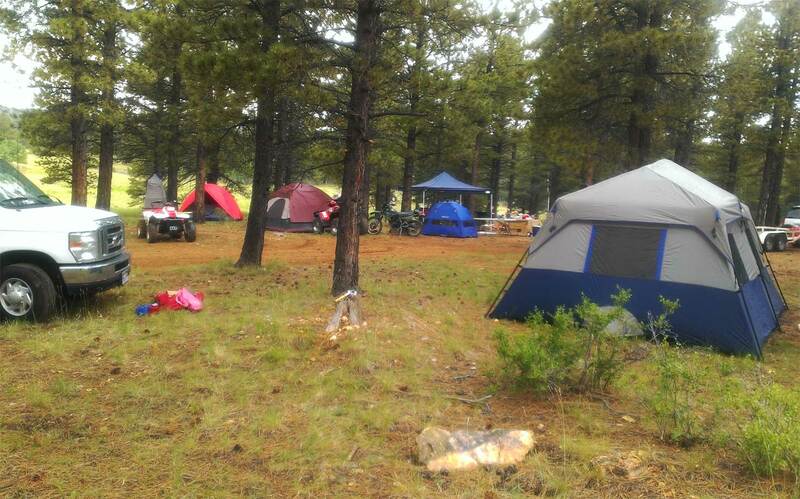 Prior to this camp out, the only tent we owned was a four-man tent. We used that tent for Abe, Max, Tru, and I about a year ago at the fathers and sons outing, and it was quite crowded then, so we knew we needed a bigger tent. 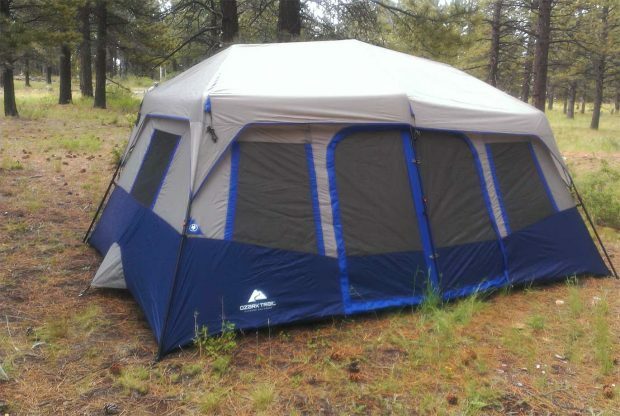 We got this 10-person tent from Walmart the night before the camp out for a pretty good deal. And true to its advertising, it only took a couple of minutes to put it. That was a nice change. The other nice thing about the tent was that for once we weren’t crowded inside. Granted we only had 5 people in there. Truman was partially right we he later told Heather there wasn’t room for anyone else. While of course you could squeeze more people in there, it comfortably fit our five air mattresses and foam pads, and it would have been difficult to get another mattress/pad in there. My mom wasn’t there at this pseudo-Thompson family reuinion, but 5 of the 10 Thompson siblings were there: Bucky, David, Tracy, Mike, and Becky. It was good seeing them all, and many of their children and grand children were their too. Four Smith siblings were there–myself, Julie, John, and Michael. It was quite the large gathering. 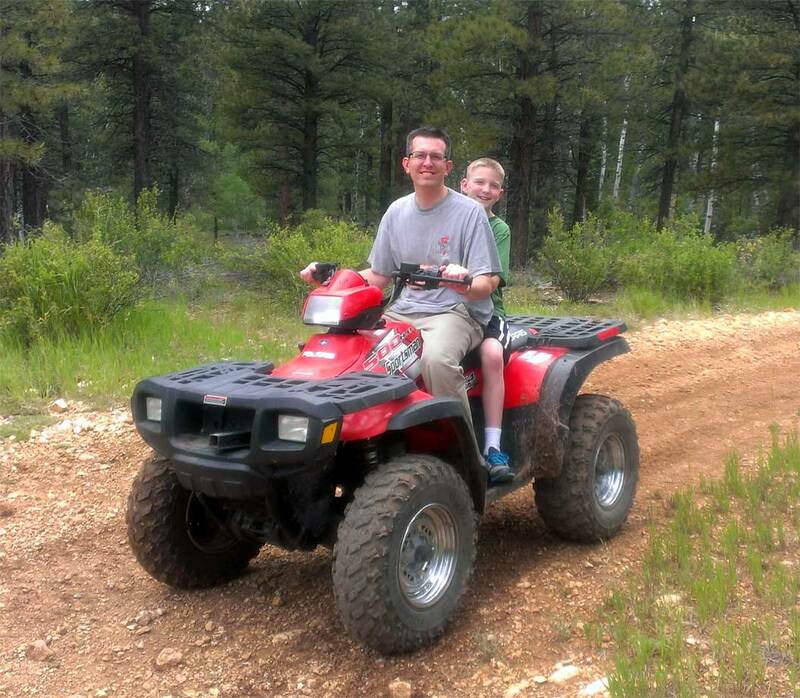 The kids’ favorite part of the whole weekend was riding the four wheelers. They begged me to take them again and again. 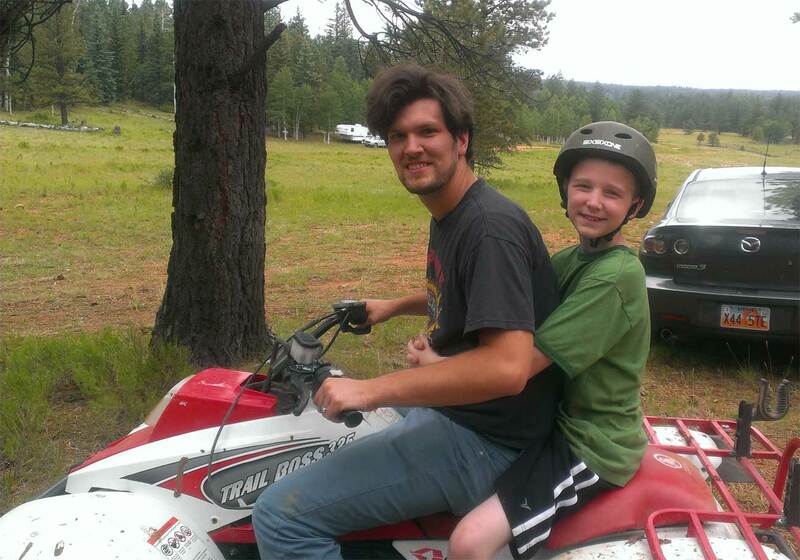 After each of the kids got one ride on the four wheeler, we realized they should have helmets on. They wore them from then on. 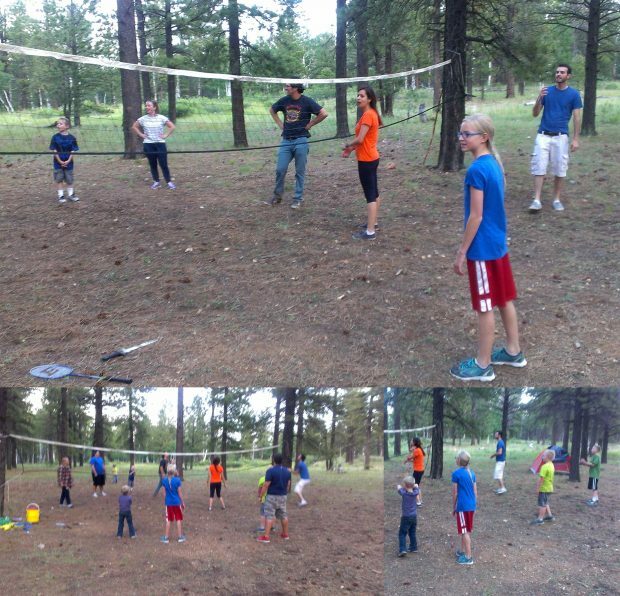 One of the other favorite parts of the camp out was the family volley ball game on Friday night. They played for over an hour and all the aunts and uncles were very nice about letting the younger kids participate. One of my favorite parts of the weekend was the hike to Kanarraville Falls. Most of the Smiths and a few of the Thompsons came. The first half of the hike was dry and dusty. But during the second half of the hike, you walk through the creek almost the whole time, and it was great. 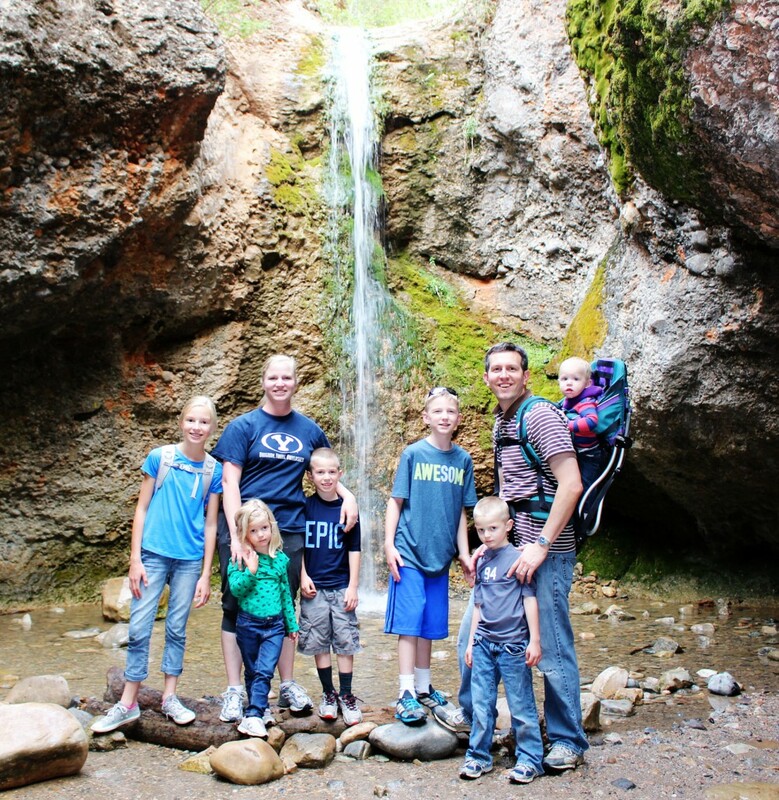 Since parking space was limited (and $10 per vehicle) at Kanarraville Falls, all the Smiths piled into Beastie for the 15 mile drive south of Cedar City. 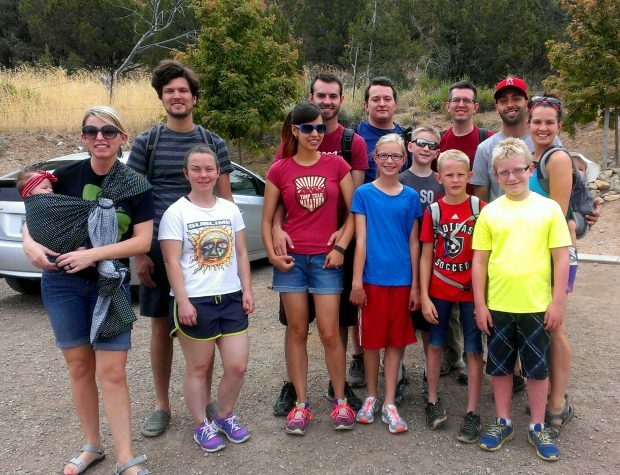 This pic was after the hike when we were all dirty and wet but glad we had such a fun time. We finished the hike mid-afternoon on Saturday. 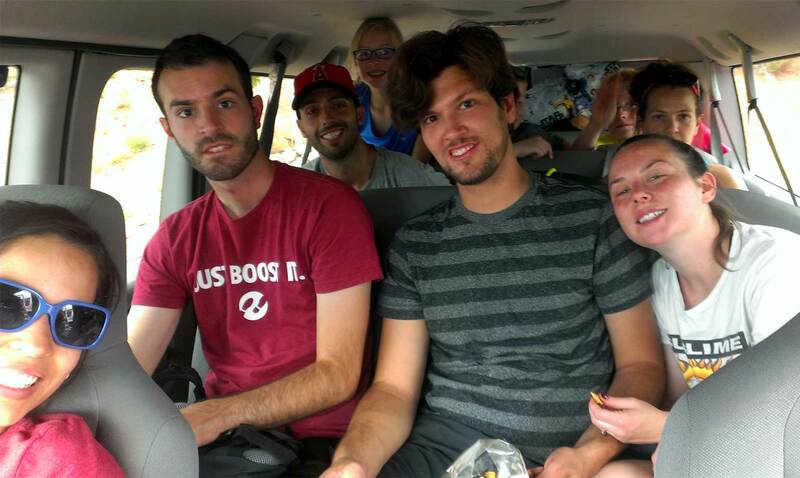 We headed back to Cedar City and picked up Max and Tru who had stayed with Aunt Becky and Uncle Tracy. Then we headed back home to Lehi. It was a great weekend. In Smith Family style we drove 4 hours down. 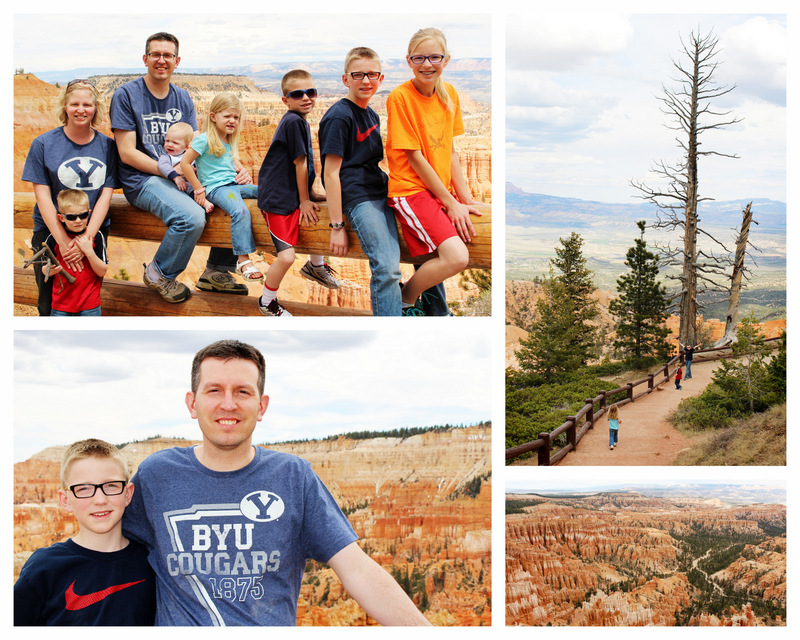 Stayed 4 hours at Bryce Canyon. And drove 4 hours home. Nice, quick, and to the point. And in the end, worth all the driving in Beastie for the view! Heavenly Father has blessed us with such wonderful creations to enjoy! Tru had great anxiety about getting close to the fence. He delighted in petting dogs and collecting sticks. Abe didn’t have near-enough anxiety about sitting on the railing with an immediate drop behind him. Aaaaak! He also said he’d rather have gone to school. Whaaaat!? 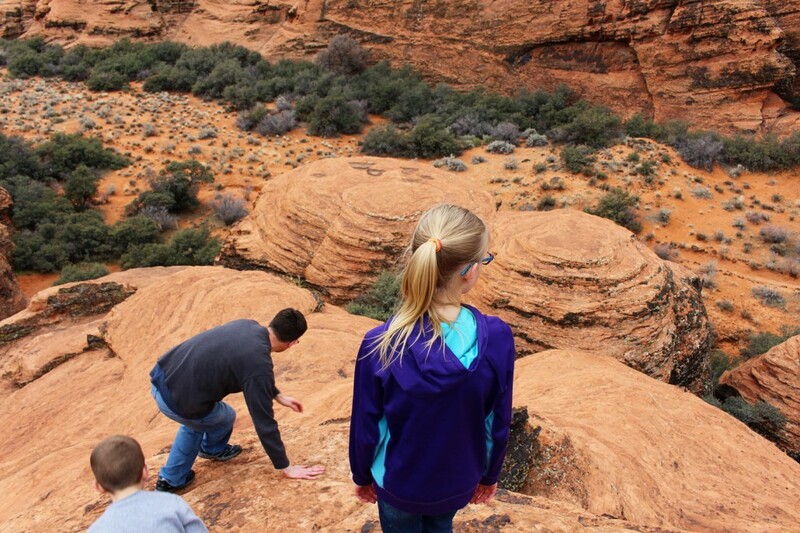 Eliza said that “Heavenly Father gave her courage” to hike and climb and sit on the fences far away from the edge. 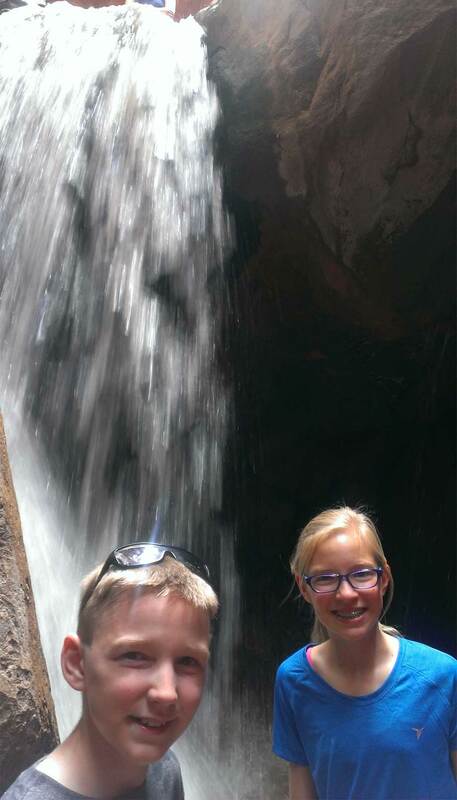 She also did every hike with Grandma Beck’s sparkly jeweled ring on her finger. Scotty endured a long day and did quite well. Max had fun. Hannah enjoys nature too. 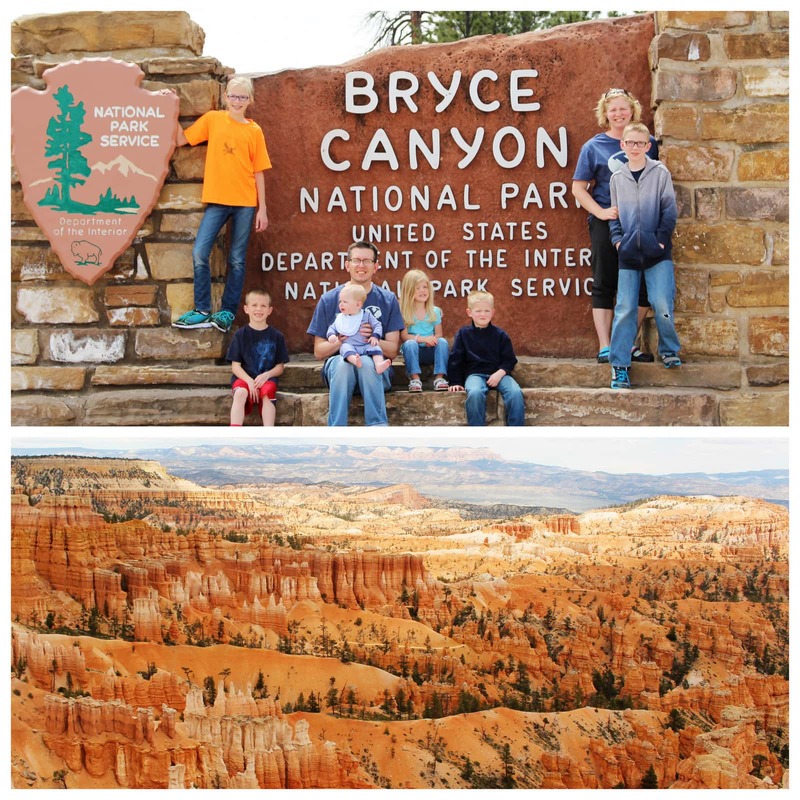 Mom loved, loved the views at Bryce Canyon. Dad had been wanting to do this trip for years. We were glad the weather was excellent! One thing is for certain… my children will not forget my efforts in creating chore charts and in striving to teach them to work. This week we’re starting on Job Chart Series 8,238. I know, right! I can’t decide what works and what doesn’t. These are simple… and will last for a long time. Hopefully they will work for Jimmy too who has to interpret job assignments. In the end, I know the follow-through is more important than the job chart. So move forward we shall… with Hope in our hearts. Get to work Scotty! haha. just kidding… I’ll help him for a few years. 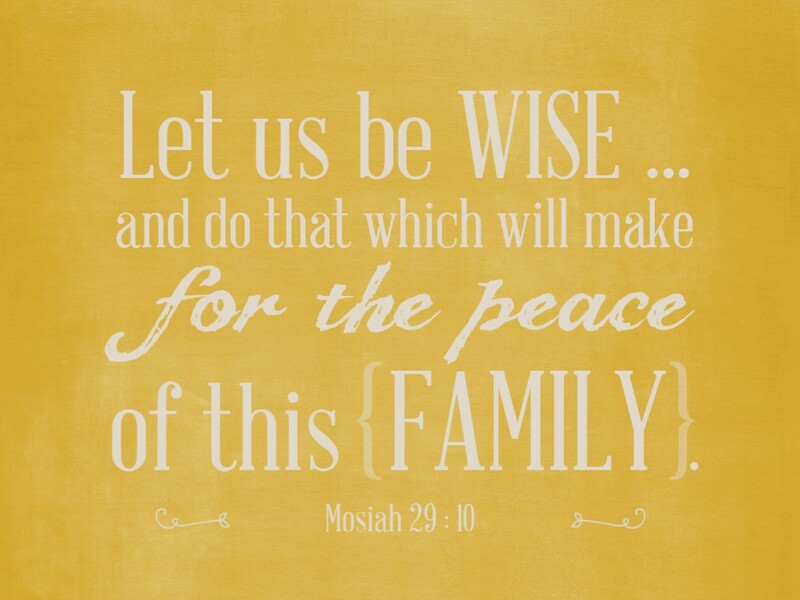 Family scripture time is a myriad of things. Sometimes it’s peaceful and we learn. Sometimes the littles are bouncing off the couches. Sometimes Truman snuggles into mom and falls asleep. Sometimes Zuzu is crying because mom’s lap is taken. Sometimes Scotty spits up all over dad (more like ALL THE TIME!). Sometimes Abe asks questions and we talk loudly over the noise to answer. Sometimes mom is grouchy and tired … sometimes it’s dad. 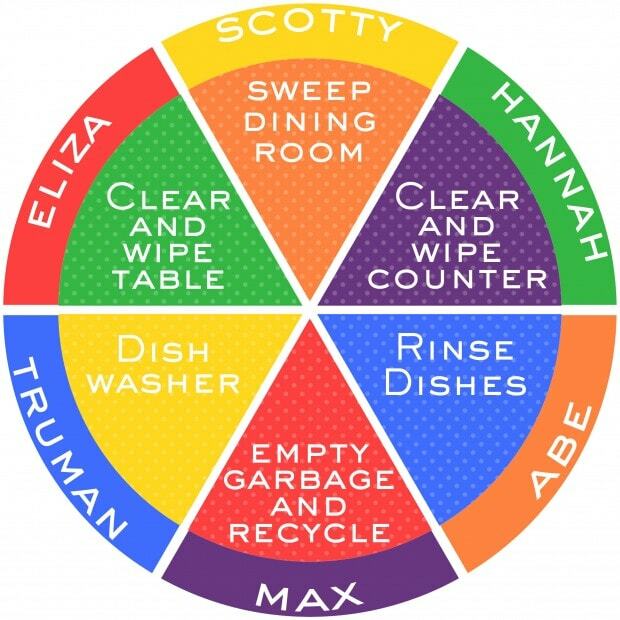 Sometimes we have a great conversation with Hannah & Abe about our ‘take-away’. Not always perfect … or ideal … or spiritual. But we are consistent… and that is one good thing going for us. The other night we were somewhere near the high end of energy and noise level. BUT … the Spirit helped me liken the scriptures unto our family. Nothing earth-shattering … but nevertheless TRUE. Oh, how we love a peaceful home. Oh, how we love kind children who inspire siblings. Oh, how we love patient parents. and striving to do better. 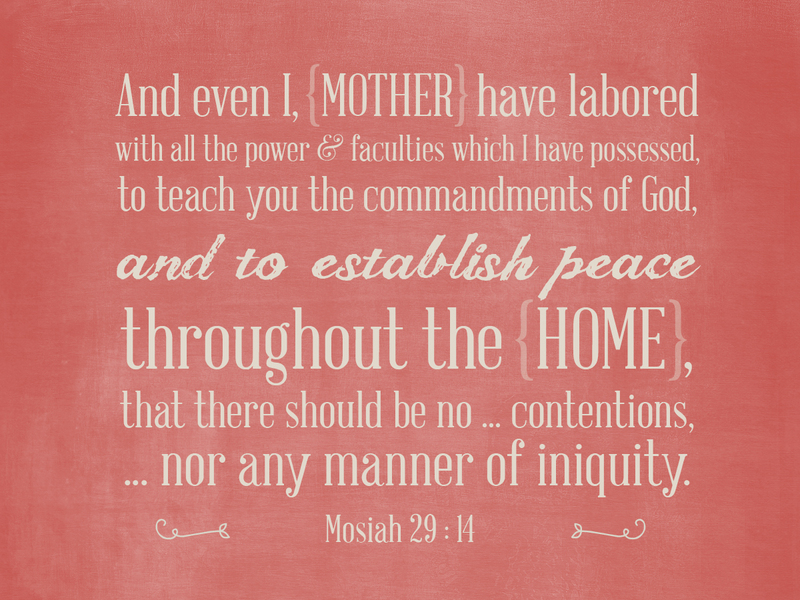 Hopefully someday, with Christ’s help, we’ll get there … to a consistently peaceful home. 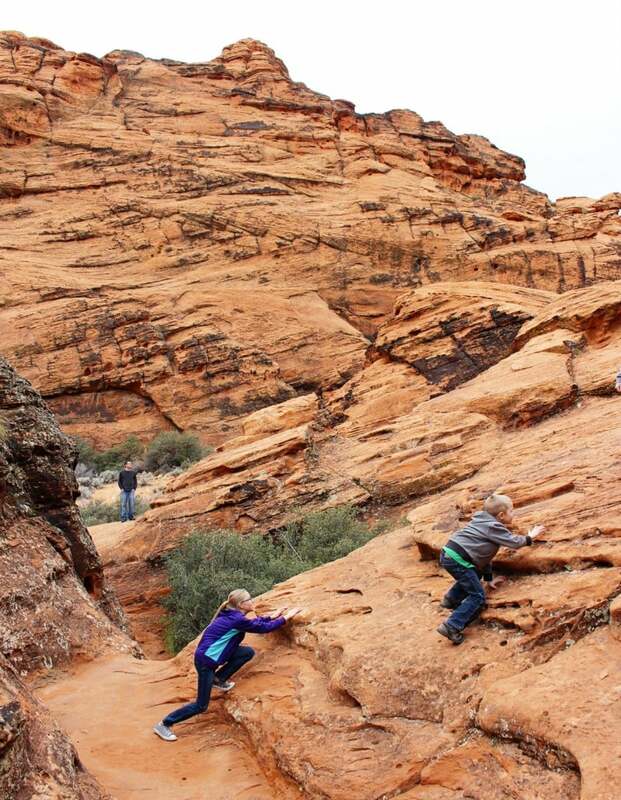 Jimmy had a great idea to take a quickie trip to St. George to feel some warmer temps, get outside, see the sun, visit my parents, etc. Ok – I’m game! 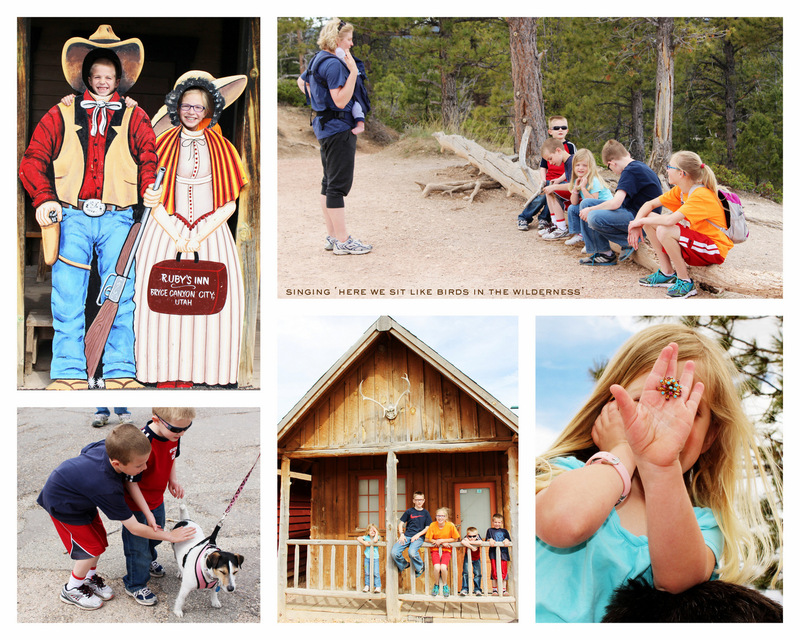 We stayed in the Hide & Seek House in Cedar with Bucky & Carla Thompson. We heard all sorts of fantastic family history stories from Bucky. The kids played hide-n-seek & air hockey. Next, onto St. George. For some reason the sun was elusive for most of the day. 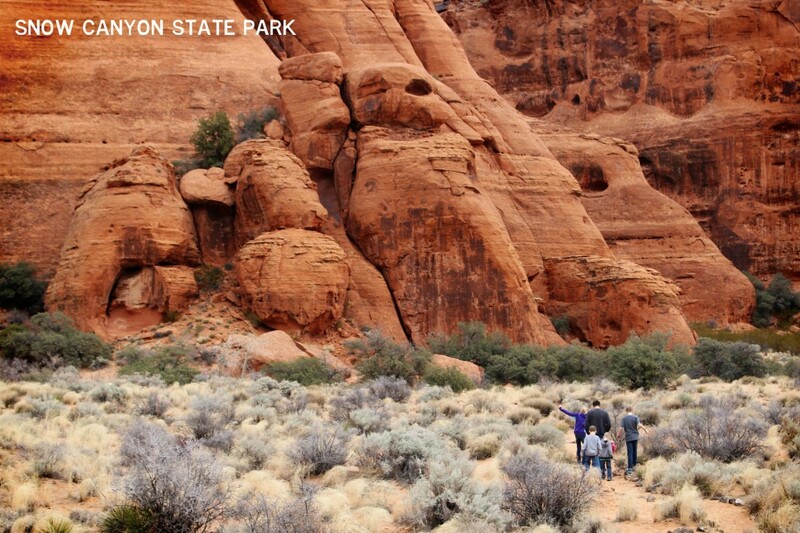 The clouds were a bit gray and it was a little chilly in Snow Canyon. Do you see the storm trooper? 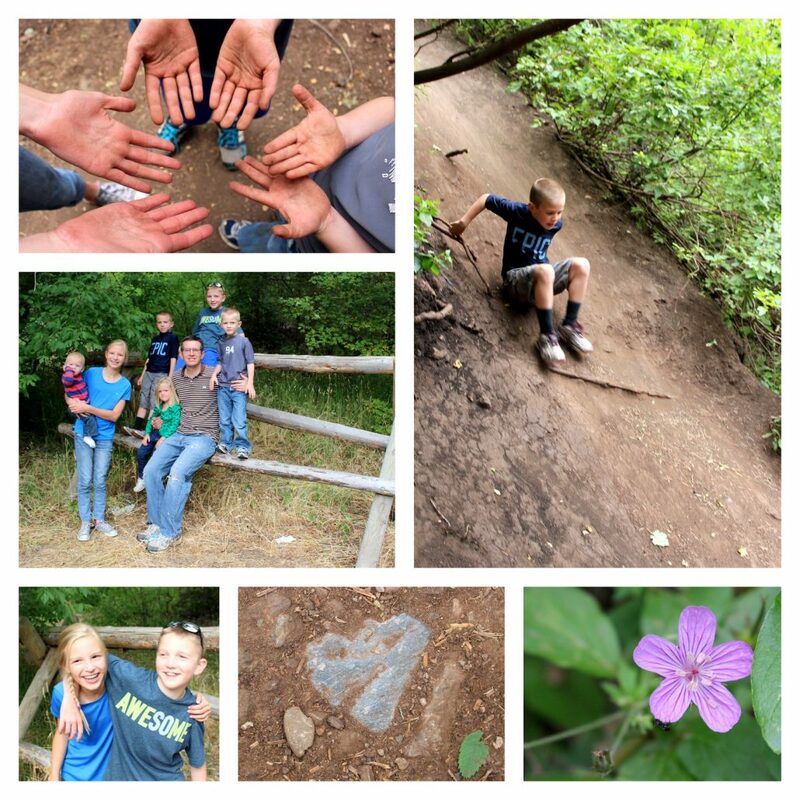 We heart hiking… plus, we love searching for heart rocks and moss hearts… Even the boys look for them to show me. Be still my heart! We got to see my parents for a few hours. Yay! The kiddos love Grandma & Grandpa’s! We tried out their new swimming pool at the new place where they are building their home. It was grand. Don’t kids just adore swimming! The sun came out and warmed our hearts and bodies! We drove by mom & dad’s lot. They have a great view of Snow Canyon and the lovely St. George Red Rocks. We’ll be excited to see the home building progress. Plus, we always love to give and receive hugs from parents. The drive home was nice. The kids were tired and mostly quiet. Tru napped. Liza napped. The boys read. Hannah read and helped with Scotty. I slept and probably snored my lungs out (sorry guys). Beastie was good to us. The weather/roads were clear. Taking a break from regular life, even for 28 hours, is a good, good thing to do. 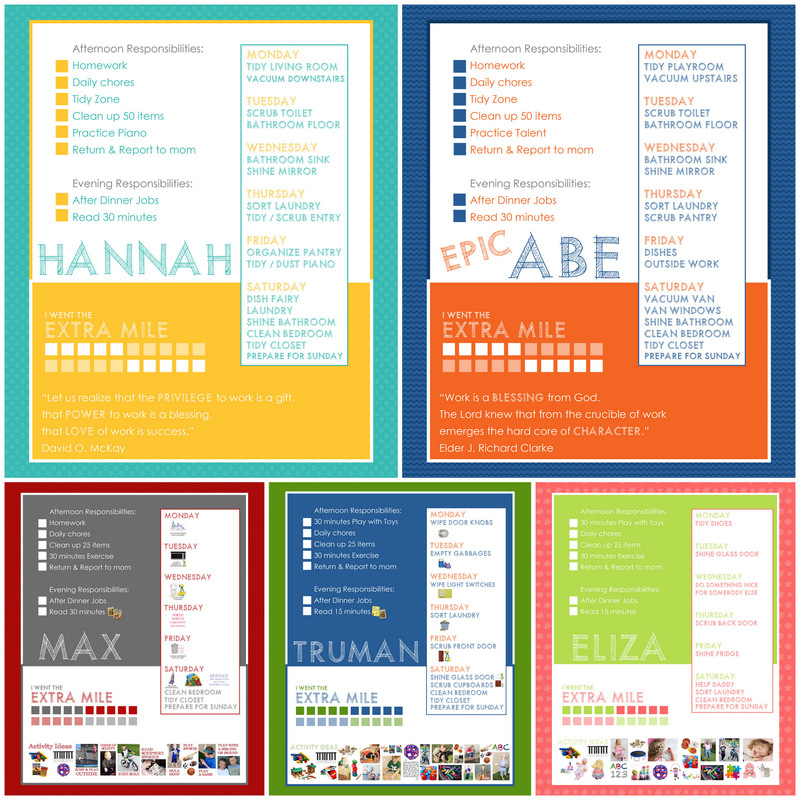 https://www.jimmyandheather.com/wp-content/uploads/2013/10/200-x-100-logo.jpg 0 0 Heather https://www.jimmyandheather.com/wp-content/uploads/2013/10/200-x-100-logo.jpg Heather2015-01-20 22:38:502015-01-20 22:38:50We saw the Sun! Jimmy signed our family up to clean the church on the Monday 5 p.m. FHE Cleaning Crew. only Jimmy missed the train and didn’t make it home until 5:30. The kids knew we were supposed to do it. So, I mustered my courage and took all 6 kids to help clean the church. I had a great attitude until I got in the van and heard the kids fighting and screaming at each other. But do or CRY … we were going to follow-through. is to #1. Teach the children to respect the church building as a house of worship. Hannah & Abe worked independently and vacuumed and tidied the chapel. Max, Tru, and Liza went with me & Scotty. Boy-howdy. They fought over who dusted. 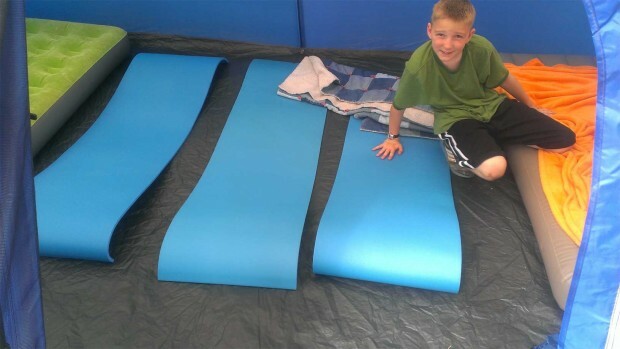 So we got more dusters. Then they fought over who got to dust what. The fought over the floor sweeper. Amazingly enough, nobody fought over who emptied the garbages. dust the picture frames, tables, and fire extinguisher boxes. And then Jimmy showed up to help hold everyone together and get us in the van. Luckily, Scotty slept in the Ergo Carrier. Thankfully we had leftovers to enjoy for supper. p.s. 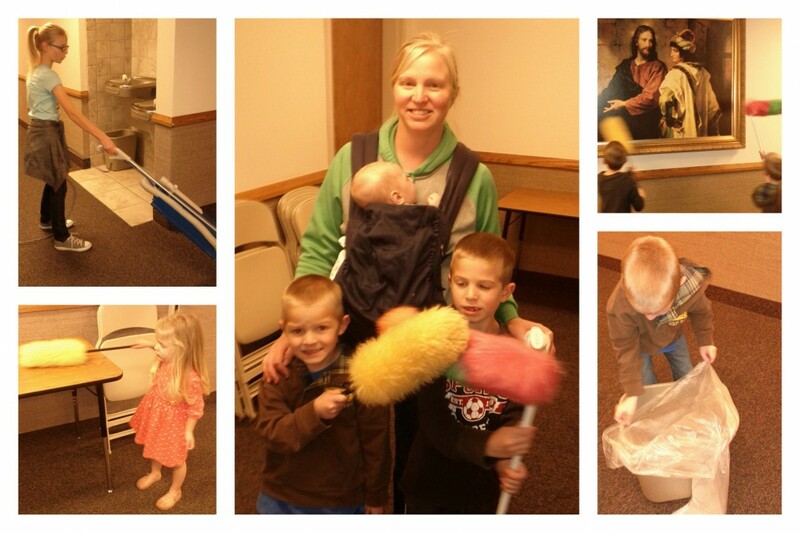 believe it or not, the kids have fantastic memories of cleaning the church already. I guess it was good for us after all.